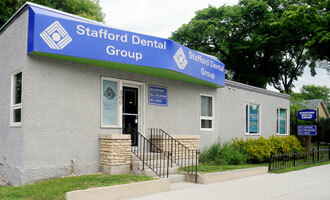 Stafford Dental Group has been at the corner of Stafford and Fleet since the 1950’s. Originally Dr. Leonard Karr lived and practiced out of his house as most dentists did in the 50’s. 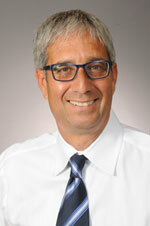 Later, it became only a dedicated dental office when Dr. Laurence Soloway joined the practice. For the next 40 years it became a neighborhood fixture. Dr. Les Allen and Dr. Jory Stillwater purchased the practice in 1986 and Dr. Billy Kettner moved his practice from Westminster Avenue to join the group a couple years later. 30 years later, Stafford Dental Group continues it’s legacy with Dr. Les Allen’s retirement and Dr. Anu Singh joining the group. The practice has always kept pace with innovative changes and continues to offer the highest standard of quality of care to its patients. Our excellent team of hygienists and dental assistants are our first-line defense team. From regular cleanings, x-rays as needed, sealants, examination of your oral tissues (cheek, tongue, gums, roof of mouth and throat), external tissues (cheeks, under-chin lymph nodes and neck) and oral cancer screening, we have your back! Our team of dentists, hygienists and assistants has your oral health as their top priority. Temporomandibular Disorder (TMD) can cause many symptoms that affect your daily life including headaches, neck and jaw pain and even broken teeth. We are confident we can help alleviate the pain you are experiencing. Ask us about treatment modalities. The sooner something is discovered, the better the prognosis. Your commitment to regular visits and our commitment to your needs will keep those pearly whites in your mouth where they belong! Our office makes all efforts to accommodate same day Emergency appointments for our patients in pain, lost or broken teeth, and trauma to the mouth and jaw. We understand that concern about pain is one of the most prevalent reasons for not seeking dental treatment. Bad past experiences, stories from friends or family and fear of the unknown can wreak havoc on the nerves of those wishing to make an appointment. Our treatment modalities, such as our gentle anesthetic delivery and medical intervention to help calm nerves, can aid you in overcoming these fears. Don’t let fear take over your dental health. We promise we can help you through whatever treatment you require. Making smiles beautiful is one of the best parts of dentistry. This can be as simple as whitening teeth or replacing old and stained fillings, bonding, re-contouring porcelain veneers, porcelain crowns and diastema closures (gaps between teeth), to name just a few. We have a wide array of techniques to obtain the exact results you desire. Ask us about how we can help you achieve the smile of your dreams. Clinically speaking, restorative dentistry refers to the health management of teeth and gums as well as their supporting structures. These services include fillings, porcelain crowns, bridges (permanent, to replace one or more teeth), root canal treatment, implant placement and restorations and dentures. Our goal is to restore your teeth to function in the optimal way for your overall health. A healthy mouth leads to a healthy body. We provide full service for those who are seeking replacement of missing teeth, whether it is fixed implants or bridges, or removable complete or partial dentures. Please contact our office to see which options are best suited to your needs. Root canals have a bad reputation amongst the general population. Sadly, while these pre-conceived notions are not the reality, they may cause great anxiety to those who have not experienced a root canal. Simply put, a root canal is like a filling, except the filling progresses all the way down into the tooth’s roots. Once you are comfortably anaesthetized, we access the tooth just as we would for a filling. We then proceed to remove the affected nerve tissue, clean and disinfect the tooth, fill the space with an inert filling material and finally cover it with a filling. It is often recommended to cover a root-canalled tooth with a crown in order to prevent the tooth from fracturing in the future. If you have any concerns, please ask us to help you understand this treatment. Some instances in dentistry require surgery to obtain a healthy mouth. This can include removal of broken and diseased teeth that are no longer restorable, removal of wisdom teeth, emergency extractions or even the need for a gum specialist to replace tissue lost due to recession or other issues. We will address all of your needs and ensure you are comfortable and receive the quality care that you deserve. Dr. Kettner graduated from the University of Manitoba in 1971. He has taught in the Oral Diagnosis clinic at the Faculty of Dentistry and is past president of the Winnipeg Dental Society. Dr. Kettner has served as Chairman of the Manitoba Dental Association’s (MDA’s) Communications Committee, chaired the annual dental convention, and maintains a yearly commitment to the International Children’s festival. You can catch a glimpse of Dr. Kettner as a cast member of the MDA’s annual musical series. Dr. Stillwater graduated from the University of Manitoba in 1984. Immediately upon graduation he joined Dr. Allen at his Ellice office. Dr. Allen and Dr. Stillwater took over Stafford Dental Group in the 1980's. 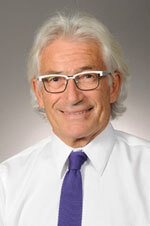 Dr. Stillwater instructed restorative dentistry at the Faculty of Dentistry for 15 years. He has chaired the Social Allowance Committee, sat on the Infection Control Committee and has served 10 years on the Manitoba Dental Association's Peer Review Committee. Currently, he serves as Dental Consultant to Manitoba Blue Cross and has done so for 20 years. In his spare time he enjoys golf and spending time with friends and family. 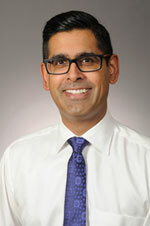 Dr. Singh graduated from the University of Manitoba in 2005. He joined Stafford Dental Group in 2013. He has been a clinical instructor in the University’s Undergraduate Clinic in the department of Pedodontics (children's dentistry) and Restorative Dentistry. Dr. Singh is an active member of the Manitoba Dental Association and is involved in the Mentorship Program to current students at the Faculty of Dentistry. He is married with two young children and one furry dog, that occupies most of his spare time.